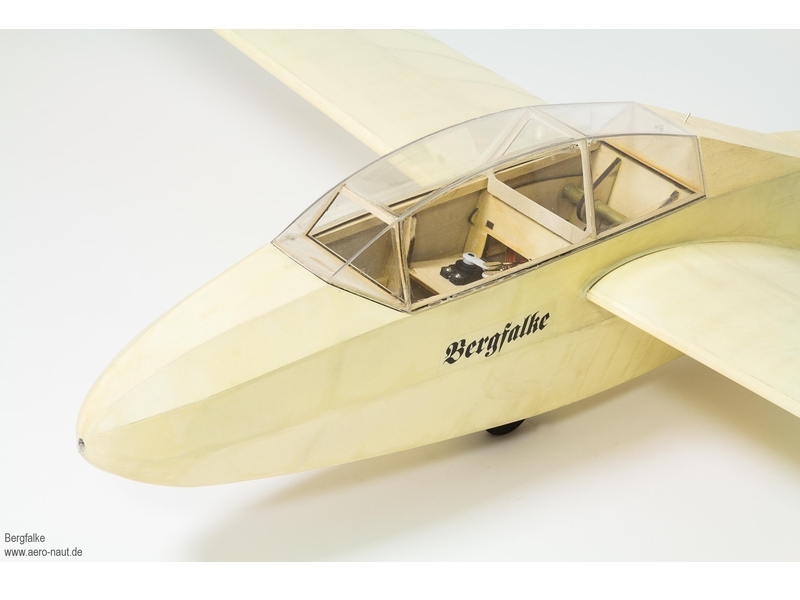 The Mü-13e (later renamed the Bergfalke I) was designed and built in 1951 at a time when gliding was prohibited in post-war Germany. Egon Scheibe based the aircraft on the pre-war Mü-13 designed by the Akademische Fliegergruppe München (Munich Academic Aviation Group). 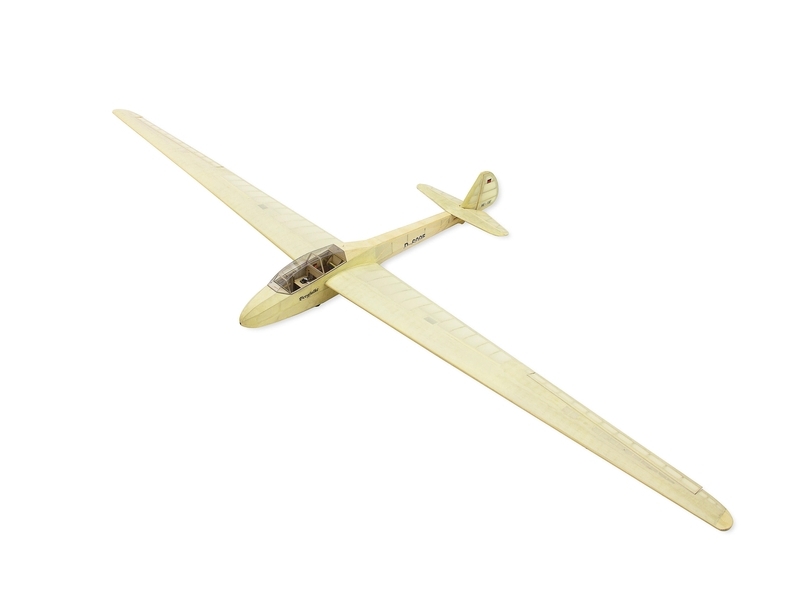 This model spans 3.5 metres, and offers the model builder the pleasures of wood construction and vintage flying in equal measure. 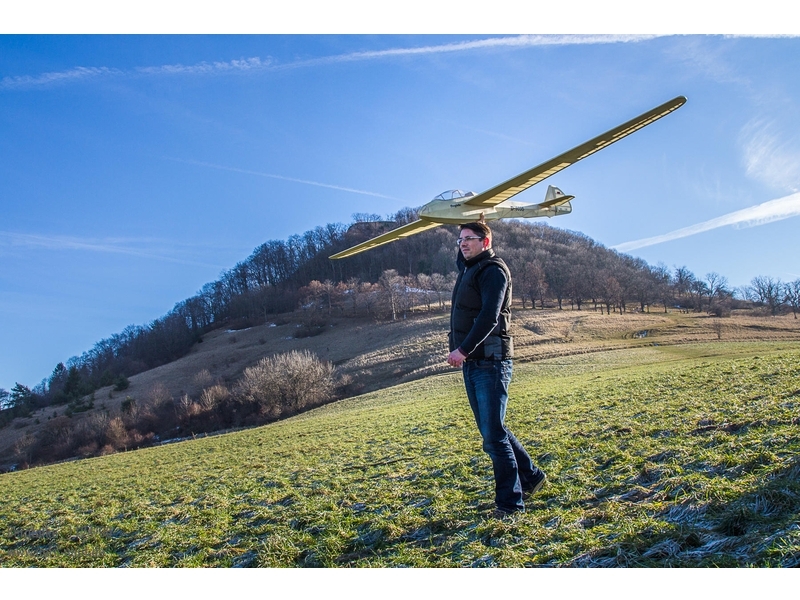 The large wingspan ensures an outstanding gliding performance at the slope and at a flat field site (winch launch, aero-tow). Even so, the model's two-part wing and detachable tailplane make it compact enough for ease of transport. The fuselage is constructed on a pre-cut Depron jig which guarantees a perfectly accurate, straight structure. 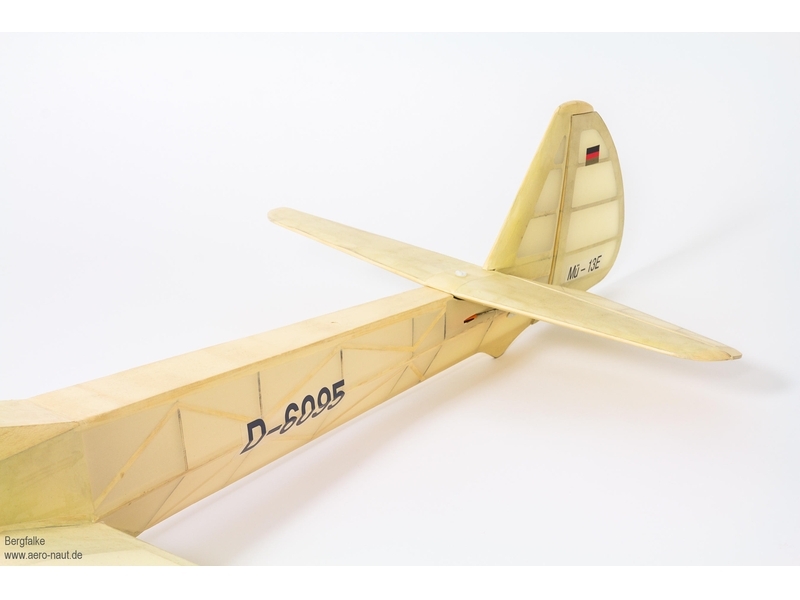 The airfoils employed for the wing were specially developed by Dr. Helmut Quabeck. 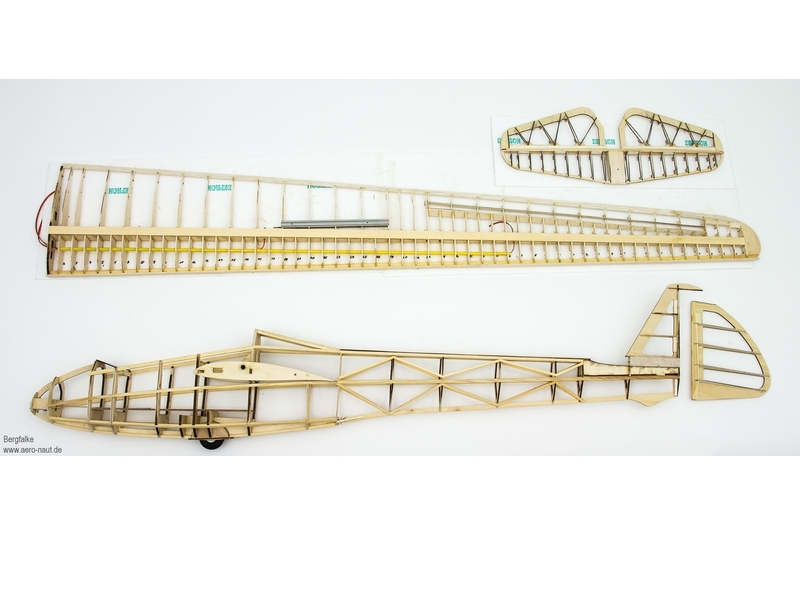 All the laser-cut wooden parts - primarily plywood - required to complete the fuselage and wing, sheeting material, canopy materials, spruce strip, all essential accessories such as hinges, screws etc., and comprehensive illustrated building instructions. The kit also includes the Depron fuselage jig.